Parco (8251 JP) is enjoying a new lease of life under J Front Retailing (3086 JP) ownership, investing assiduously in updating existing buildings and showing a decisiveness to rebuild entirely where location merits it and even closing down stores that don’t work. 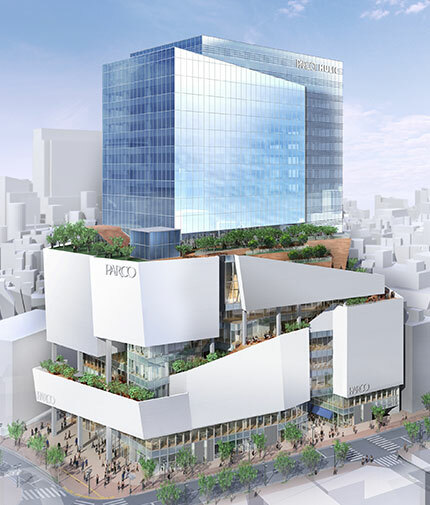 It will celebrate its 50th anniversary this year by opening four new buildings, including the flagship Parco Shibuya and is forecasting a 28% rise in revenue for 2016-2021. Starbucks’ growth story in China faces a new threat: WeWork Go. U.S. dollar stores face rising threat of substitutes from healthcare insurers. Uber Freight’s new Yelp-like Facility Ratings raises bar further for trucking brokerage firms. U.S. Dollar Stores: Dollar Tree and Dollar General will face a rising threat of substitutes as healthcare insurers like Health Care Service Corp. launch subsidized meal delivery services to low-income consumers living in food deserts as a preventative healthcare measure. Trucking Brokerage Firms: Uber Freight’s new Yelp-like Facility Ratings feature raises the bar further for trucking brokerage firms by providing its drivers with a new level of empowerment and transparency. Starbucks: Starbucks’ growth story in China faces a new threat with the launch of WeWork Go which offers the public free coffee and pay-as-you-go access to WeWork’s locations. I was thrilled to learn that Google just launched a new feature called Live Transcribe as it will empower deaf people, like my brother, by transcribing audio in real time. I’m also excited to order Casper’s new Glow Light for my kids to help them fall asleep better and wake up. It’s exciting to see Aetna partner with Apple on a new health-tracking and motivation app as it could be really valuable to help people engage in healthy behaviours. It’s also very encouraging to see health insurers like Health Care Service Corp. try to help low-income consumers living in food deserts by offering them subsidized health meal delivery services. While Uber Freight is looking to empower its drivers through its new Yelp-like feature for shipping and receiving facilities, Amazon is empowering its sellers with its Amazon Live Creator app which enables them to livestream for free on its platform to promote their products. And even Foot Locker seems to be gaining a social conscience with its new community-driven mission “to inspire and empower youth culture”, which coincides with its $100M strategic investment in the sneaker resale marketplace GOAT Group. The S&P 500 continues to hover below critical resistance at its 200-day moving average while market participants remain in a wait-and-see mode for new developments on U.S.-China trade and details on the latest border security proposal. At the same time, breadth improvements have extended to our Manufacturing Sector – a welcomed sight given its cyclical nature. We are Upgrading Manufacturing to market weight from underweight. Our cap-weighted Manufacturing Sector has steadily improved in our RSR ranks due in large part to strength in Aerospace & Defense Groups. In today’s report we highlight attractive Groups within Manufacturing and Technology.. Researchers at the St. Louis Fed recently published a paper concluding that “an inverted yield curve might do more than predict a recession: It might actually cause one.” This analysis of the effect of the flattening of the Treasury yield curve on bank profitability and lending, while common, looks incorrect to us. UK inflation disappointed consensus expectations in Jan-19 but was broadly in line with my forecasts at 2.5% on the RPI and 1.85% on the CPI. The energy price cap was probably poorly accounted for, and it looks set to induce further volatility in the April and October prints.